Finding yourself a pre-owned Ram pickup truck is as easy as can be at Sunset Dodge Chrysler Jeep Ram FIAT in Sarasota, Florida. With impressive icons aplenty, you'll have no issue finding your dream pickup for work and play. That ranges from the Ram 1500 to the Ram 2500 and Ram 3500, each pickup truck more powerful than the one before it. We also have a selection of Ram ProMaster vans, for those that need a vehicle that tackles work and city roads with ease. Whatever your reason for choosing one of America's hardest working lineup of pickup trucks is, we promise you won't be disappointed in your Ram vehicle. Contact our Sarasota, FL used Ram dealership today to learn more about all our pre-owned Ram vehicle options. 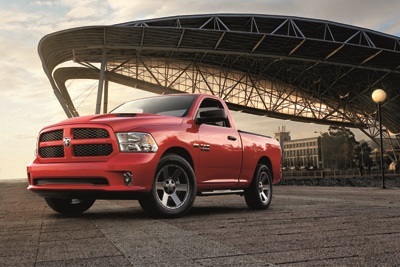 Find a used Ram model at your local Sarasota, FL Ram dealership. At Sunset Dodge Chrysler Jeep Ram FIAT in Sarasota, FL we'll help make sure you know what you're getting into with your used Ram vehicle. That includes touring the lot with you, showing off the pros and cons to each vehicle, and ultimately pairing you with a Ram truck that matches your lifestyle best. The only piece of the puzzle left is to find a time to hop in for a test drive! Schedule yours with our sales team at Sunset Dodge Chrysler Jeep Ram FIAT today. When it comes to financing a pre-owned Ram pickup, Sunset Dodge Chrysler Jeep Ram FIAT in Sarasota, FL is here for that, too. Stop by or give our finance center a call to get the conversation started. We'll help work with your credit history to find the best option moving forward to pay off your vehicle. At Sunset Dodge Chrysler Jeep Ram FIAT our job is to get you behind the wheel of your dream car, and that's exactly what our finance team will help you do. From competitive Ram lease options to low-rate auto loans, we'll work within your budget. Get started by valuing your trade-in vehicle now.